Next time you're in Malibu, California you might notice something...parking can be a challenge when busy. Where to park? The street if you can, often times the surfers got all the early parking. Another option is Paradise Cove. 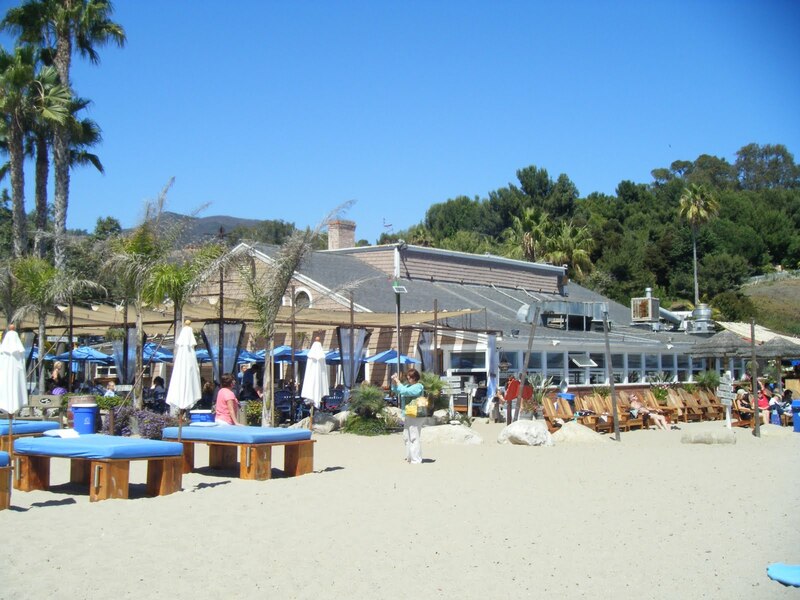 Located at 28128 Pacific Coast Hwy, Paradise Cove is a restaurant on the beach with a parking gimmick - park for $30 OR spend $25+ at the restaurant and parking is $3. Reviews of the food go both ways. Some people enjoy the selection of seafood's and traditional American dishes (think burgers), others...don't like the food much. I've been there a few times and it's about what you'd expect from a beach bar/restaurant IHMO. You go to Paradise Cove for the beach, not 5 star dining. Sample dishes include: Clam Chowder, Iced Seafood Samplers, Grilled MahiMahi, Hickory Baby Back Ribs and more. So for me Paradise Cove is a pretty cool spot that does a few things for you. It gives you easy parking, a decent lunch and the best part...a great beach. Check them out at: www.paradisecovemalibu.com.